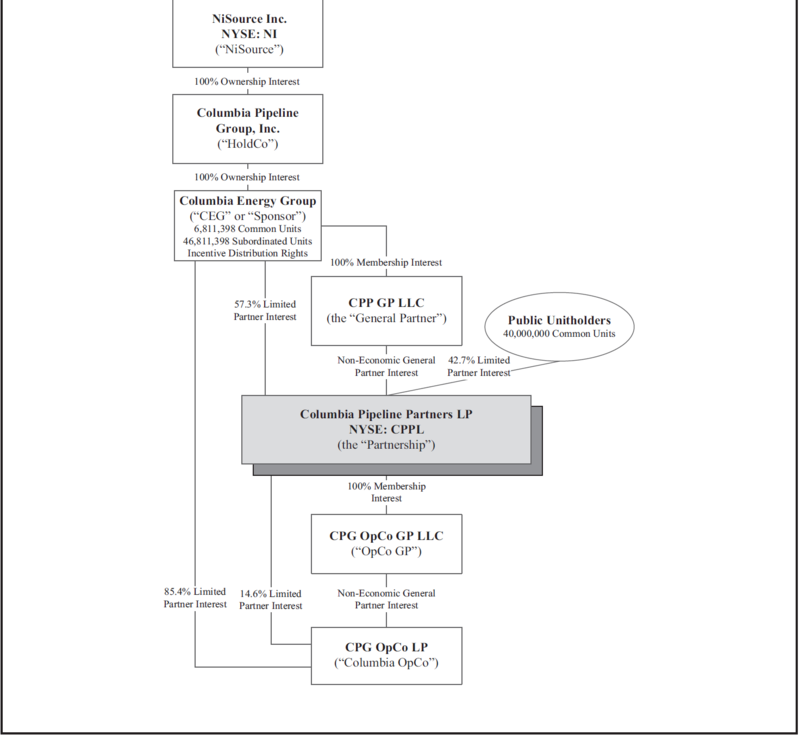 Thank you for sharing IPO Preview: Columbia Pipeline Partners. Your email has been sent. Since the Thanksgiving Day announcement that OPEC would maintain production, only one new Master Limited Partnership has come to market. On December 17th, Rice Midstream Partners priced below the $20 midpoint at $16.50, and has since fallen to $13.81 yielding 5.35%. Antero Midstream Partners, which priced above the $20 midpoint range on November 5th and opened at $30.36, has since fallen below the IPO price with a target yield of 3%. Both of these units were brought to market with "best in class" distribution guidance from the respective management teams. In spite of the further weakness in crude, natural gas and liquids, the market has responded by paying a premium for investment grade sponsored units which clearly outline the path to transparent double digit distribution growth. 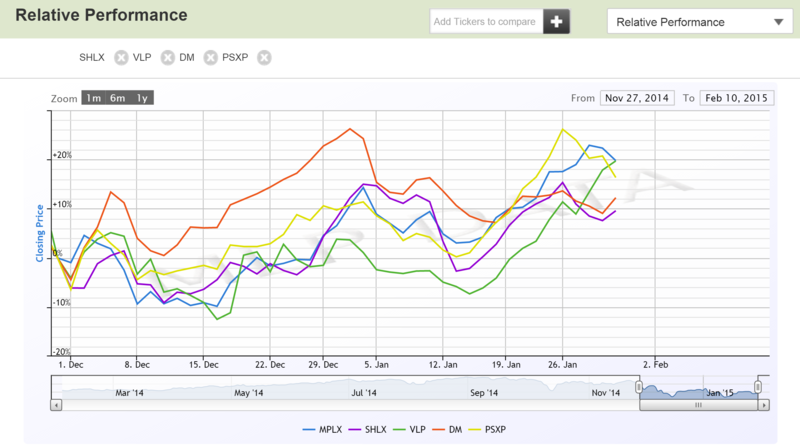 The below chart illustrates the post Thanksgiving performance of Shell Midstream Partners, Valero Energy Partners, Phillips 66 Partners, Marathon's MPLX LP, and Dominion Midstream Partners. Seeking to follow in these footsteps, NISource is in the process of a restructuring for Columbia Pipeline Group, which will separate the assets and the GP structure from NISource in a tax free transaction expected to occur by July 2015. 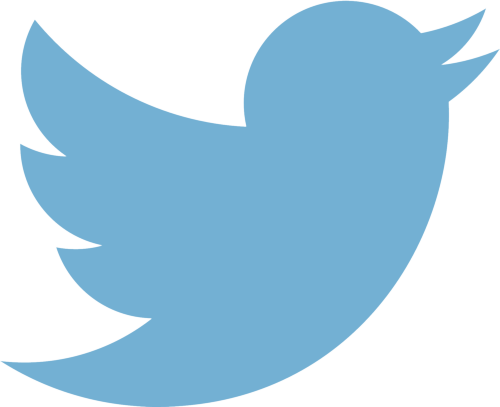 Once separated, CPG is expected to generate $680MM of adjusted EBITDA inn 2015 with an investment grade credit rating. 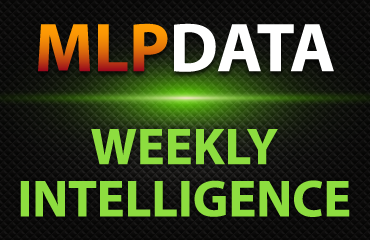 The first step to the restructuring is the IPO of newly formed Columbia Pipeline Partners (CPPL), majority owned by CPG, expected to price the week Feb 2nd. 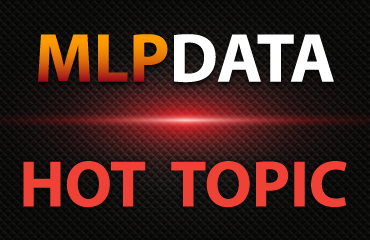 The MLP will not own the assets directly, but rather will have a stake in the OpCo, which will own the assets and equity finance $4.9B of organic growth by the end of 2018. The legal structure is shown below which provides a clear path for the GP to become public in the future. Management expects to achieve +25% distribution growth by organically expanding the OpCo assets and increasing CPPL's ownership in OpCo. 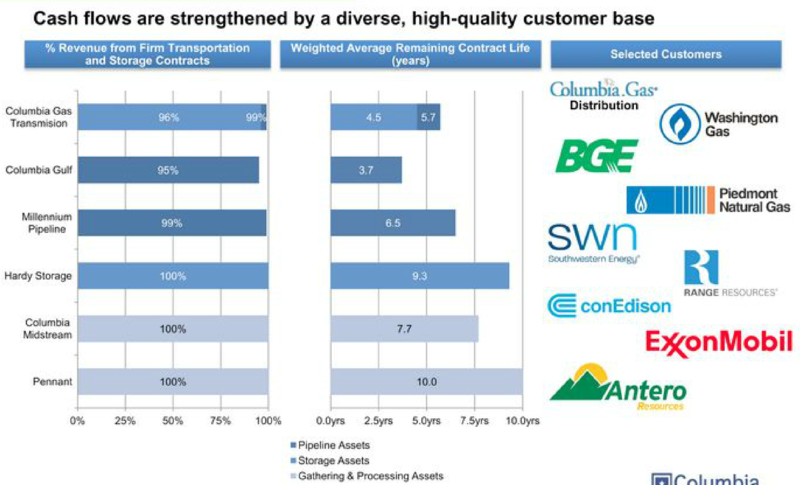 Columbia's organic expansion within the Marcellus and Utica regions, expected to be $4.9B in aggregate by the end of 2018, is backed by long term and binding precedent agreements. CPPL will expand ownership in OpCo by acquiring equity issued to finance the expansion projects. 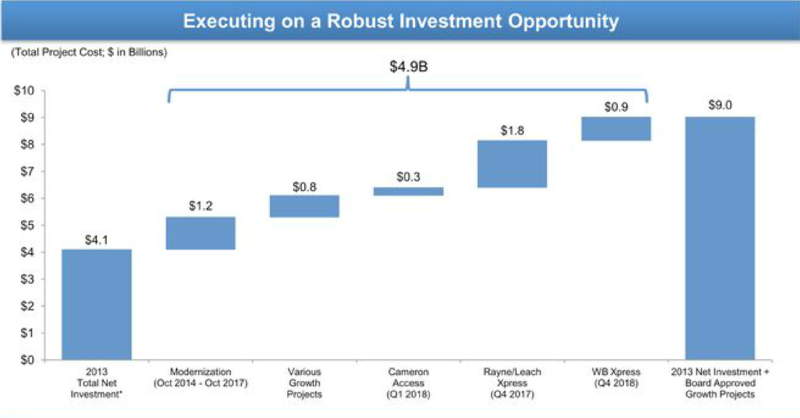 Management expects to more than double the asset size of OpCo by 2018, and more than triple the size by 2020, which will require nearly $10B of new capital to fund the expansion, financed primarily by equity issuance according to the roadshow presentation. In addition to the projects underway below, there is the potential for further expansion from the Mountaineer Express project, a multi-billion dollar pipeline investment presently seeking producer commitments. 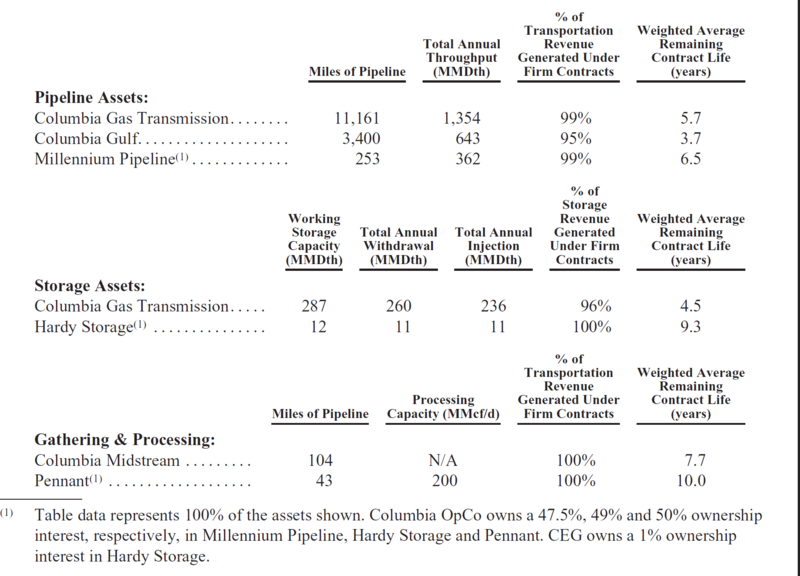 Columbia Pipeline Partners will offer investors double digit returns by increasing ownership of an expanding OpCo asset set, backed by diversified long term cash flows with minimal (less than 10%) volume or commodity price risk. While the growth rate is similar to that of Shell Midstream, Valero Partners, MPLX and Dominion, the EBITDA inventory will be lower than the peer group, and will require development through 2020. Further, CPPL and OpCo will require access to equity markets to finance their roughly $5B of expansion over the next three years. 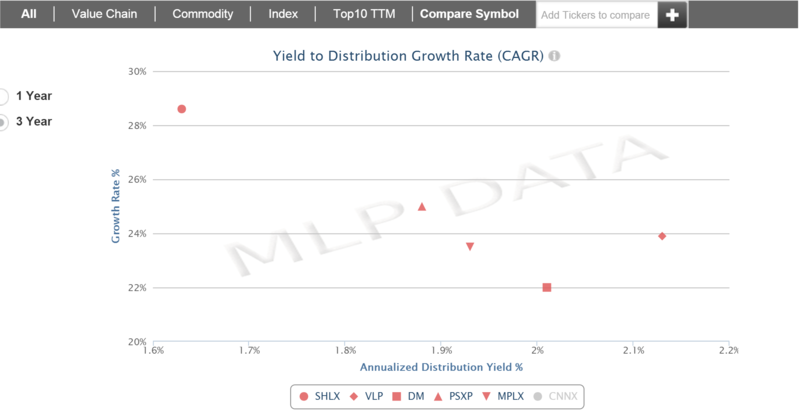 We expect CPPL to trade with a 2.80% yield implying a target price of $24.00, about 20% above the IPO midpoint range.